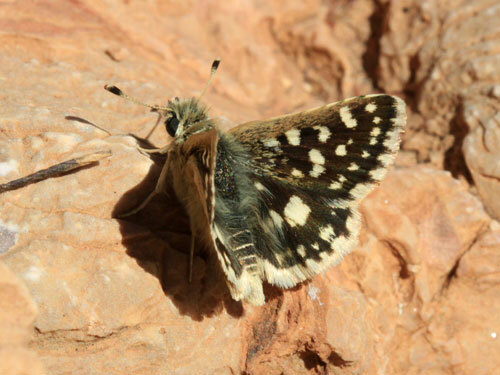 Only from north Africa, this resembles a brightly marked red underwing skipper S. sertorius with a green underside. 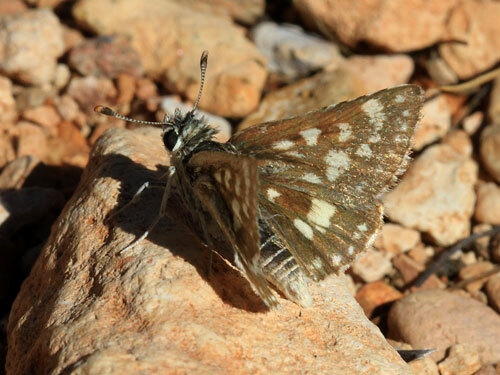 Identification & Similar species: It is a large bright species, separated from the similar red underwing skipper subspecies S. sertorius ali by the brightness of the upperside markings and the green underside ground colour. 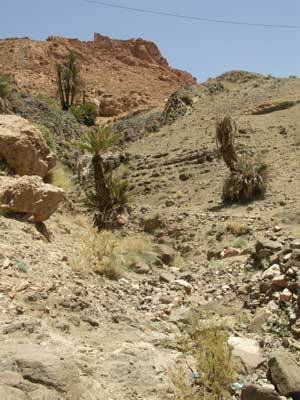 Distribution & Flight: Only from parts of Morocco - to the east there is a huge gap in the range when it is found again from Egypt to India. Reportedly double brooded from late March/ May and August/ September. 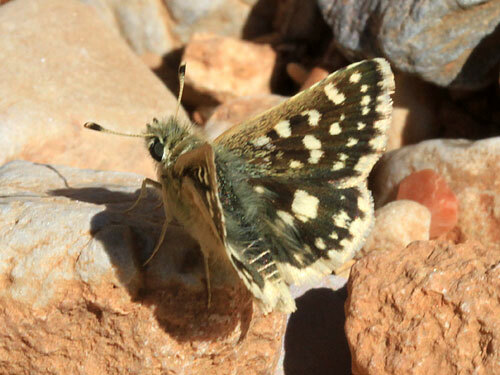 I've found it fresh fairly high in the High Atlas at 1500m in mid July, outside the normally recognised flight times. 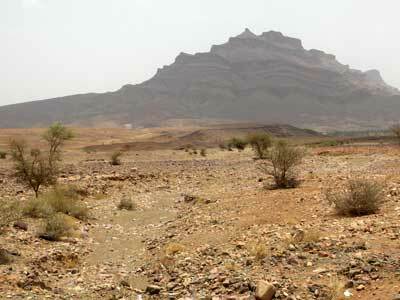 Habitat & Behaviour: Very hot dry arid conditions with very sparse vegetation. 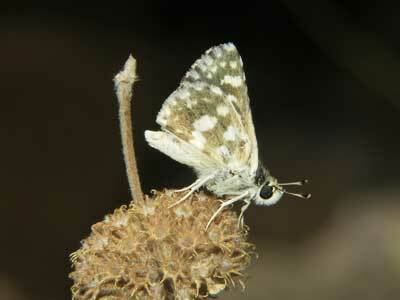 Flies very low and fast over stones, making it very difficult to follow in flight. 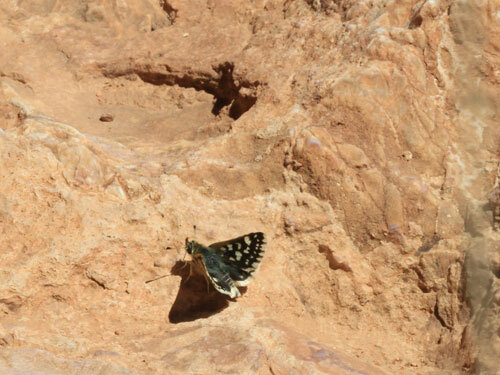 The butterflies above were in this gulley. 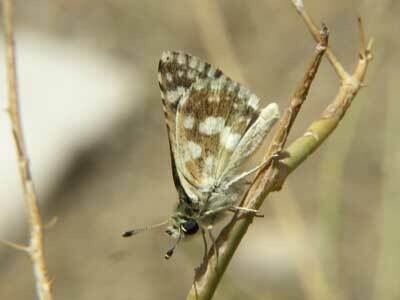 We found this species in this very typical wadi in May 1996. Nothing at all flying at the same place in July 2005 with the temperature at 45 degC.